A slightly clumsy owl from Madrid has benefited from the ancient practice of acupuncture. 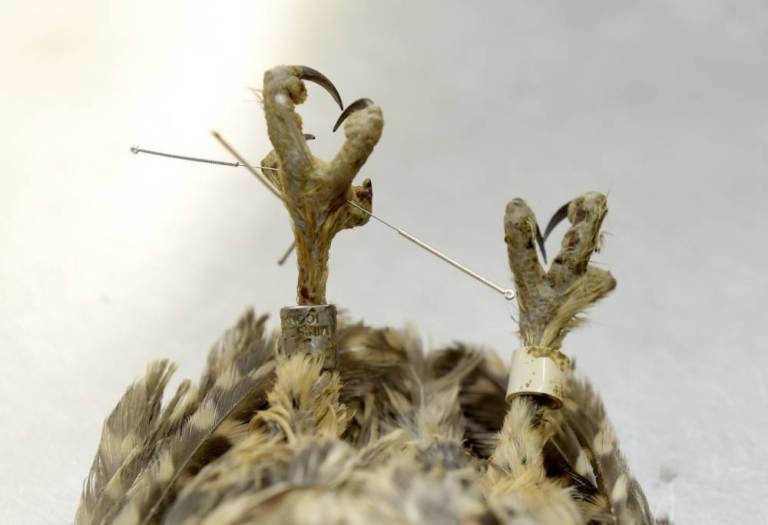 Some might see sticking needles into an owl as animal abuse, and others might laugh at the thought of an owl receiving acupuncture, but however unconventional the treatment, it worked. It all began when the owl accidentally hurt his back by flying into a factory’s stove pipe. 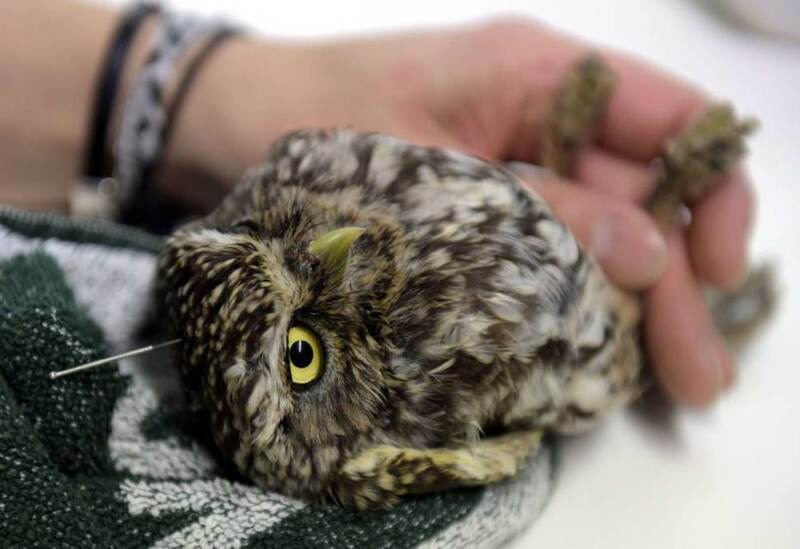 He was swiftly transported to Brinzal, an owl rescue facility in Spain where his treatment was taken over by vet and acupuncturist Edurne Cornejo. ‘When he first came, he couldn’t stand up. Then he started taking little steps. Now he is flying again.’ says Cornejo. Cornejo’s bird rescue center has a very good track record, with 75% percent of the birds that they rescue returning to their natural habitat. According to Cornejo, when the owl first arrived it was nearly crippled as it could barely take a few steps before collapsing. After it was treated with acupuncture, the recovery was noticeable. Currently, the 10 inch bird has regained its ability to fly, a tremendous improvement when compared to its previously incapacitated state. While our unlucky owl was receiving treatment, 80 other birds were also underdoing the recovery process. The center takes great care of them, as staff members prepare scores of yellow chicks and mice for feeding time. The multitude of eagles, owls and several other species can steadily practice flying in enclosed spaces, strengthening their muscles for their inaugural flight. Treating animals with acupuncture is slowly seeping into the mainstream, There are licensed veterinary medical professionals that advocate for the use of acupuncture in the recovery of animals. and the practice has gained a lot of momentum since the inception of the International Veterinary Acupuncture Society back in 1974. For those that are not familiar with the term, acupuncture is an ancient Eastern method of healing. The basic principle is to stimulate certain self-healing centers that are present in the body, by sticking needle into the body, triggering an overall recovery of the patient. The claims that acupuncture can stimulate the healing process, signifies a potential miracle cure for pets that are suffering from nervous, vascular, skin, joint or muscle issues. It remains to be seen if acupuncture will be accepted as a valid curing method, but one thing is obvious: it has no long term negative effects. It is just an issue of getting past the temporary discomfort of the procedure itself. At its worst it is inconvenient and at its best, it can solve crippling problems without causing nasty side effects.